I have finally got round to trying to Automate the hot water pump on the boat, using what I found out about the DS18B20 one wire Waterproof Temperature sensors from the Arduino Data logger I wanted to try out controlling the pump, (the same PCB will be used for other automation parts). 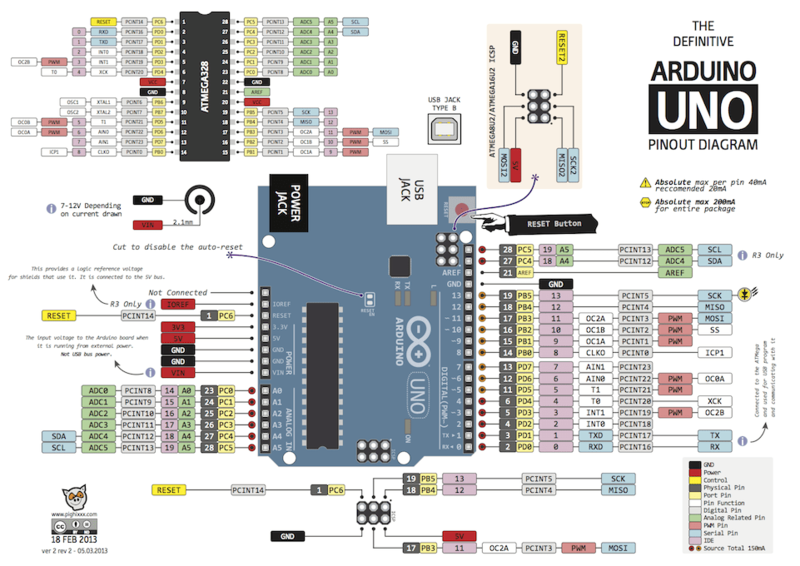 I want to use four pins from the Arduino, I have chosen to use D10, D11, D12, and D13. D10, and D11 are both PWM enabled pins, so these can be used to change the intensity of lights. 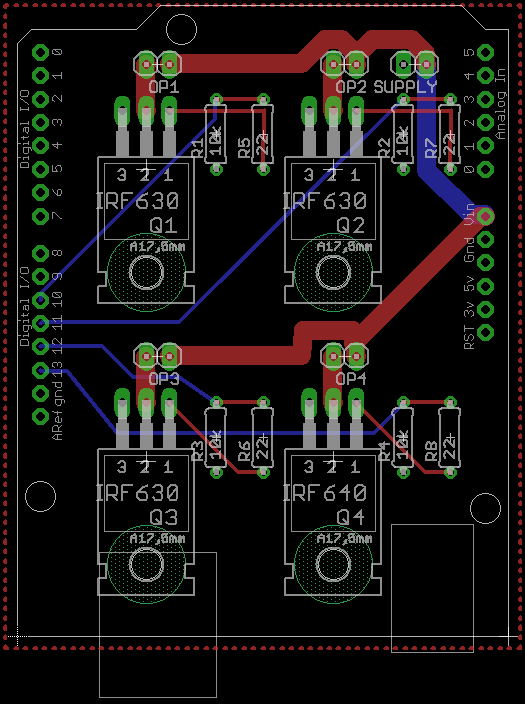 The PCB I have designed lists both IRF630 and IRF640 FETs (Field Effect Transistor) they are both TO-220 package, so can be fitted in the same spaces on the PCB. The IRF 630 is rated for about 9A continues, the IRF 640 is rated for about 18A continues. The 10K pull down is to stop accidental activation, and the 22 Ohm resistor is to limit the current into the Drain of the FET. 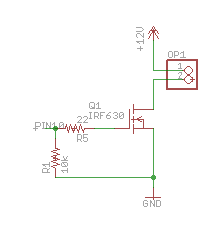 I haven’t needed to put a diode in reverse bias across the FETs Drain, and Source as the data sheets show that both the IRF 630 and IRF 640 both have one internally. 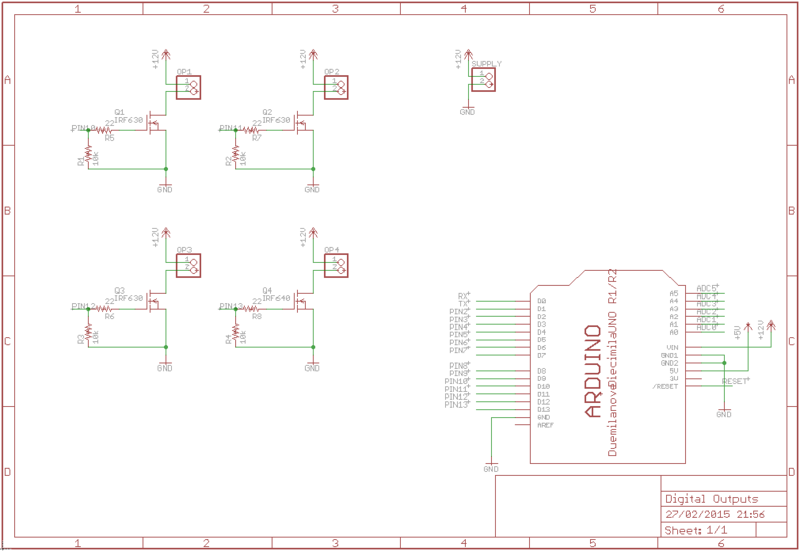 I used the Autorouter and the PCB is the base from the Matt Venn workshop, I use this as the base for Arduino shields (The Digital Outputs Eagle Files can be downloaded), I used Elecrow to provide me with the physical PCBs. Elecrow require you to use their Eagle Design Rule and Eagle CAM files to make sure the boards are compatible (you then export and the Gerber files). 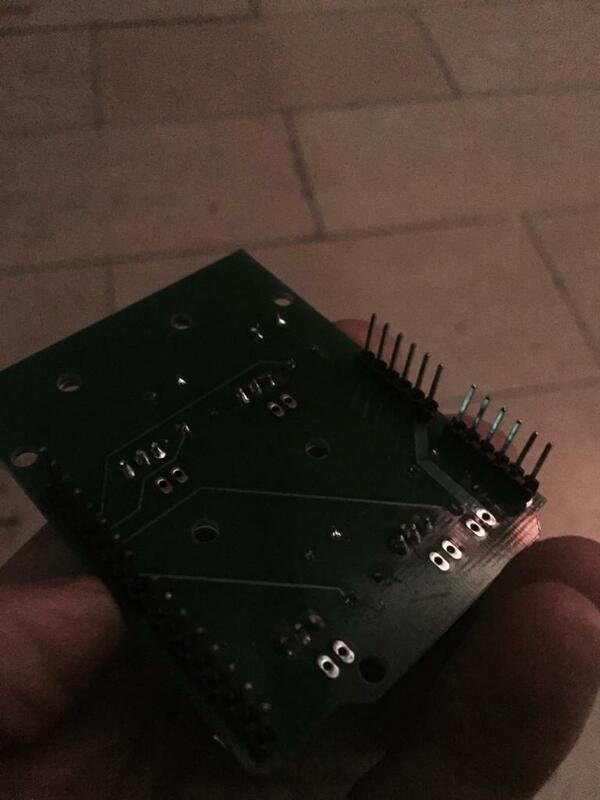 Nice job on your first PCB! On the next one, make use of EAGLE’s SMASH command. It will break the NAME and VALUE label apart from the footprint. That’ll let you place them in a readable location. 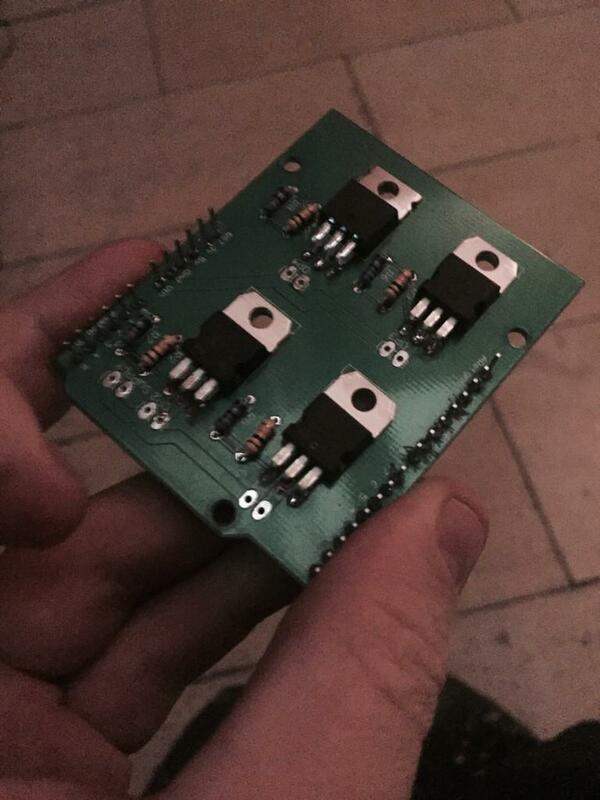 For example, now, once you solder on your resistors, you can’t read what value was *suppose* to go there. In this instance I don’t mind not knowing. However from now on I will give that a try.